It was a pleasure speaking today at your annual stockholders meeting. As promised, a copy of my slides from today is here. 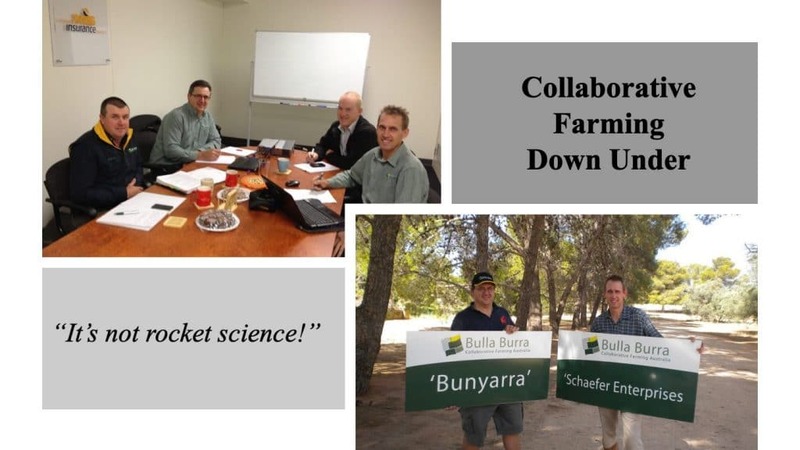 Take a minute to review the Bulla Burra farming collaboration case study I referenced. It’s a game changer of insights about how to work through difficult challenges through teamwork. Finally, download and share this chapter on running effective collaboration meetings: Making Meetings Magic. Thanks again for what you do! You make a big difference to all of us in the United States.